Chain update…I have 24 blocks done, and I only need 63! I was looking at the wrong page in the book last week, so the 144 came from 7″ blocks while I am making 10″ blocks. Yay for being farther ahead than I thought!! I think I can get the chain blocks finished today and start on the alternate blocks as well. Then piece the center, add borders and it will be ready for some fancy quilting: custom naval-theme designs in the open spaces. My Craftsy design class had me looking for palette inspiration in pictures. The class assignment was to analyze some paintings from the Grand Masters, and pull your fabric and colors based on what you see in the painting. Last night, I did a quick exercise in my photo editing program with my own pictures. I started with this picture of a Chihuly glass exhibit. 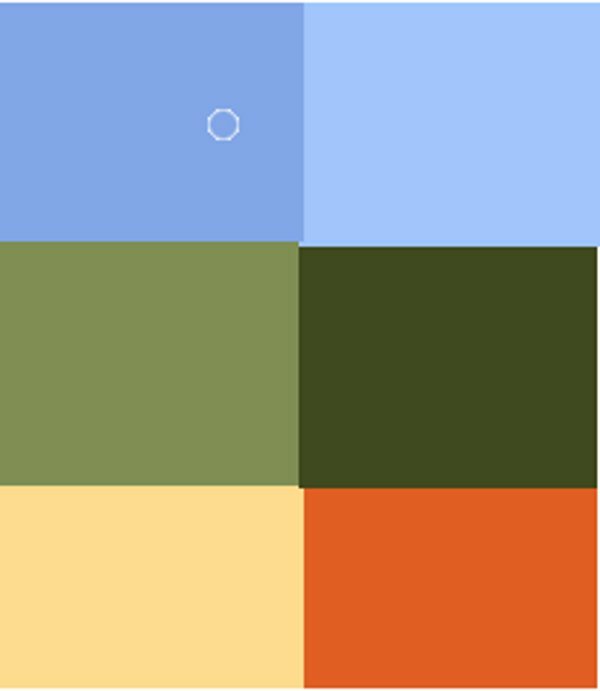 Using the palette tool in the software, I picked these six colors as a simple starting point. It was so interesting to study the whole palette and see the mix of colors, from white to grey to these various shades of blue, green and orange. In the photo above, you can even see some small yellow flowers. Last year, Judy Laquidara (Patchwork Times) and Vicki Welsh (Field Trips in Fiber) teamed up for some color challenges each month. Vicki shared some similar exercises of pulling colors from pictures, and Judy did her magic in Electric Quilt to design a quilt around the assigned palette. Sometimes we just need to play – I get so many ideas floating around that it is a chore to finish the project in front of me!! And then there is the joy of focused effort that produces a beautiful result, so either way it’s a win-win.